On September 17,2008, less than two weeks prior to Rosh Hashana, 900 American rabbis from all denominations participated in an extraordinary conference call with Senator Barack Obama. Rabbi Steve Bob and I, founders of Rabbis for Obama, had been asking the Obama campaign to arrange a conference call for the rabbis with someone like Ambassador Dennis Ross or Congressman Robert Wexler. On Monday afternoon, September 15 we received a call from the campaign that told us that Senator Obama himself would be available for a conference call on Wednesday morning. We had less than two days to organize the call, but through our network we were able to publicize the call, and by Wednesday over 900 rabbis participated in the call. Never before had so many of America’s rabbis come together to hear a major presidential nominee reflect on his relationship with the Jewish community and share his vision for a better future. I had the privilege and honor of welcoming everyone to the call and introducing Senator Obama. 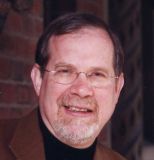 Rabbi Elliot Dorff, Vice-Chair of the Conservative Movement’s Committee on Jewish Law and Standards and Professor at the American Jewish University in Los Angeles offered an opening text study. Following Senator Obama’s remarks, leading rabbis from the four major denominations posed questions to the Senator, including Rabbi Jeffrey Wohlberg, of the Rabbinical Assembly of Conservative Judaism; Rabbi Tzvi Hersh Weinreb of the Orthodox Union; Rabbi Eric Yoffie of the Union of Reform Judaism; and Rabbi Dan Ehrenkrantz of the Reconstructionist Rabbinical College. The rabbis were deeply impressed by Senator Obama’s depth of knowledge and insight, but some of what he said could have been dismissed as talking points created by talented speech writers, but no writers prepared him for the questions. Our Orthodox colleague, Rabbi Weinreb, asked about Senator Obama’s position on government support of parochial schools, an issue important to the Orthodox community. Senator Obama did not hesitate to offer an answer that was against the position of Rabbi Weinreb. He clearly stated that he was opposed to publicly-funded vouchers for private and parochial schools. But then Senator Obama expanded the conversation and spoke of his own commitment to early childhood education, after- school enrichment programs, and summer school opportunities. He said that the public schools could not be expected to handle all those needs and that faith-based educational programs would deserve support so long as they did not discriminate. And then Senator Obama demonstrated his personal knowledge of the Jewish community. He said he knew well and admired the Orthodox day school established by the Crown family in Chicago. It was impressive that he was familiar with the Ida Crown Academy of Chicago, and he demonstrated that he did not need to be briefed ahead of time to know what was happening in the Jewish community he represented. A few days after the phone call, I was fortunate enough to be with Senator Obama and had the chance to speak with him about his impressions of the phone call. He was delighted to learn of its success, and he was grateful for the opportunity to speak to such a large group of rabbis. He spoke to me of his deep respect for the role that religious leaders play in America, and he extended that respect to the rabbis of America. The Jewish and secular press gave us great coverage. The American Jewish community learned about the call from many different sources. That call, along with many other events, helped change the perception that many Jewish voters had concerning Senator Obama and his relationship with the Jewish world. In June 2008, Rabbi Steve Bob and I met with others at the Chicago Jewish Community Leadership Committee for Obama. At that time the polls were showing that Senator Obama had about 60% of the Jewish vote nationally. This was a very high percentage of support in comparison with almost all other ethnic groups, but we were told that, with the exception of Jimmy Carter, no recent Democrat had won the presidency with less than 75% of the Jewish vote; John Kerry had gotten 74%. While we still did not want to endorse a candidate from the pulpit or support his candidacy through our congregations, as individual rabbis we knew that we could add credibility to his campaign and help answer those who were playing on potential fears within our community. These tactics had begun very early in the campaign. When Senator Obama first announced his candidacy, because I am from Chicago, I began to hear from colleagues from throughout the country asking about Senator Barack Obama. Some had heard rumors that he was raised and educated in an Islamic madrasa in Indonesia and was a secret Muslim. Soon stories were circulating about his association with his pastor, Reverend Jeremiah Wright of Chicago. These stories usually included references to Reverend Wright’s admiration for Louis Farakhan. Others wrote to me after hearing that Senator Obama’s Middle East advisors were Zbigniew Brezinski and Robert Malley. This was not the Barack Obama I knew. The real Barack Obama had deep ties to the Chicago Jewish community. I knew his mentors, those who had helped shape his career and who were major influences on his ideas. Prominent and respected Jews such as Newton Minow and Abner Mikva were among his earliest supporters who encouraged him and guided him from the time he was a law student at Harvard University. I happened to be sitting at the table with Martha Minow, her parents, my good friends Newton and Jo Minow, and Abner Mikva. All of us sat there in amazement and with great pride in Martha. Martha Minow, as a law professor at Harvard, had told her father that the brightest, most talented law student she had ever had was a young man named Barack Obama. Martha’s father, Newton Minow, was managing partner at Sidley and Austin, a major Chicago law firm. Newton Minow is best known for his role as Chairman of the Federal Communications Commission under President Kennedy, but in Chicago he is a man who connects people with each other. Newt Minow brought Barack Obama to Chicago to work at Sidley and began to introduce him around. Barack Obama soon got to know other major Chicago Jewish figures such as Abner Mikva, Lester Crown and many others. From that time on, Barack Obama was deeply connected to the Chicago Jewish world. I also knew some of those whom he chose for advisors: Dennis Ross, Anthony Lake, Daniel Kertzer, Robert Wexler, and Mel Levine helped shape his ideas about Israel and the Middle East. In January the Obama campaign asked me to appear in a video talking about Senator Obama’s faith and integrity. I told of being a guest at his swearing in ceremony when he took the oath of office on a family Bible held by his wife, Michelle. It was a bit odd testifying to his Christian faith when there was nothing wrong with the fact that Congressman Keith Ellison had, in fact, been sworn into office using Thomas Jefferson’s Koran, but it was necessary to respond to the lies about Senator Obama. I concluded the video by quoting the Book of Proverbs, saying, “Where there is no vision, the people perish.” I spoke of the fact that, to me, Barack Obama was a man of vision, integrity, faith and character. I continued to respond to those who questioned Senator Obama’s patriotism, positions on Israel and his relationship with the Jewish community, but once his nomination as the Democratic candidate was clear, it was all the more important that Jewish leaders unite to help him win the Jewish vote. "Rabbis for Obama" was formed for that purpose. This was a grassroots effort. While we were in touch with the Obama campaign, we did not receive funding or direction from them. Rabbi Steve Bob and I worked with volunteers to build a website and contact our colleagues. Through word of mouth and the various rabbinic email lists we put out the word that Rabbis for Obama existed. We recruited key rabbinic colleagues who had credibility within the four major Jewish denominations. They became our vice chairs who were then able to work with their own contacts to build our organization. By the end of the summer Rabbis for Obama included over 570 rabbis who were publicly willing to support Barack Obama for President. There were many other rabbis who expressed their support for Obama but were reluctant to publicly endorse him. We understood their hesitancy but knew that they shared our desire to see Senator Obama become president. We used Rabbis for Obama as a vehicle to answer the false charges against Senator Obama. We asked our members to respond to the smears in whatever way they could. We wanted to create viral responses to the viral e-mails. It was important, however, for us to make clear that we did not want our colleagues to use their congregational positions to endorse Senator Obama. We did ask them to urge their congregants to choose their favorite candidate based on truth and not on lies. We provided fact sheets and information to our members. We were able to include Rabbis for Obama on various conference calls run by the Jewish Leadership Council for Obama. We received invaluable help from Eric Lynn, Adam Weissmann, and Daniel Shapiro with the Obama campaign. The Jewish and secular press wrote reports about our group, and we felt that our organization demonstrated that there was a significant group of Jewish leaders who believed in Senator Obama and who rejected the lies being told about him. Around the time of the High Holy Days the Obama campaign released a video of Jewish leaders speaking about their own relationship with Senator Obama and their trust in and support of him. This video was widely circulated in the Jewish community, and it was an important addition to the efforts to add to his credibility among skeptical Jews. Among those interviewed were John Levi, a prominent Chicago attorney, son of former Attorney General Edward Levi and grandson of Rabbi Emil G. Hirsch of Chicago Sinai Congregation. Judge Abner Mikva spoke of his long association with the senator. Lee Rosenberg a leader of AIPAC spoke, as did Susan Hattis, Representative Jeff Schoenberg, Penny Pritzker, and Lester Crown. I was the rabbinic presence and voice on that video. As the election drew near, many people were recognizing the role that Rabbis for Obama had played in the campaign. Haaretz, Israel’s leading newspaper, carried a front page story citing Rabbis for Obama for its impact on this presidential election. I was also receiving numerous personal calls from people throughout the country. The Saturday before the election I was at home and the phone rang. I saw from the caller ID that it was a North Carolina call and the name was unfamiliar. I answered the phone, and a woman with a deep Southern accent asked if I was Rabbi Gordon. I told her I was. She then asked if I was the same Rabbi Gordon she found on a Barack Obama donor list. Once again, I said I was that same Rabbi Gordon. She then expressed surprise. I asked her why. “Well,” she said, “You are a rabbi and you are supporting Barack Obama, and I was told that Senator Obama is bad for the Jews.” I reassured her that Senator Obama was in fact good for the Jews and for Israel. She thanked me for my response and said that I had made her feel much better and that she had planned to vote for Senator Obama but had been worried about the rumors she was hearing. Now she felt comfortable voting for him. I thanked her, and that was the end of our conversation. On Tuesday night, Nov. 4, I was in Grant Park in Chicago for what we hoped would be a victory celebration. The evening was beautiful, an unseasonably warm November night. I arrived early and made my way to the front of the stage. I saw a few friends from the Jewish community, and we stood around in a very joyful but expectant mood. As time wore on, more and more people joined the crowd, but we remained standing in the front row. As Jewish activists, we were especially delighted that Obama had won Florida, Pennsylvania, Michigan, and Ohio. At 10 pm the polls closed and Barack Obama was immediately declared the winner. We rejoiced. It was a thrilling moment. Not long afterward, Senator John McCain delivered a gracious and generous concession speech. Barack Obama soon emerged on the stage with Michelle and their two daughters. He was smiling and joyous, but I saw his shoulders drop for a moment, and he took the podium in a serious, though upbeat mood. His speech was lyrical and inspiring, but it was a victory tempered by the realities of a nation in serious trouble. As he had in his conference call with the rabbis, he tempered his remarks with the recognition that he could not be expected to complete the task, not in one year or one term. He was sharing a vision of America with words that resonated with the phrases of Lincoln. He was freed of the burden of a very difficult and nasty campaign, but the work ahead would be daunting and challenging, and he asked for a country united in dedication to that task. I remained in Grant Park until 1:30 am, and at the end of the evening, the President-elect and Michelle came to the tent where we were, and we had a last chance to shake hands and congratulate them both. It was a thrilling moment mixed with the exhaustion of a very long day. Within a day or two, the exit polling results were in. The Jewish vote was estimated at between 78% and 79% for Obama. That was extraordinary. Our work had paid off. There was no way to know the impact of Rabbis for Obama or of the thousands who made phone calls or went door to door or lobbied friends and family. Ed Koch, Michael Bloomberg, Alan Dershowitz, Edgar Bronfman, Lester Crown, and so many others reassured skeptical Jewish voters of Obama’s commitment to Jewish values. Sarah Silverman might have helped with her video promoting “The Great Shlep.” But it may well be that Sarah Palin had had the greatest impact on the Jewish vote. But whatever the cause, the Jewish vote was overwhelmingly pro Obama, and for many of us, there is a feeling of deep gratification. Samuel Gordon is rabbi of Congregation Sukkat Shalom, Wilmette, Illinois, a co-founder of Rabbis for Obama, and a Fellow of the Hartman Institute Rabbinic Leadership Initiative. Forty years after RFK death, a new beginning?